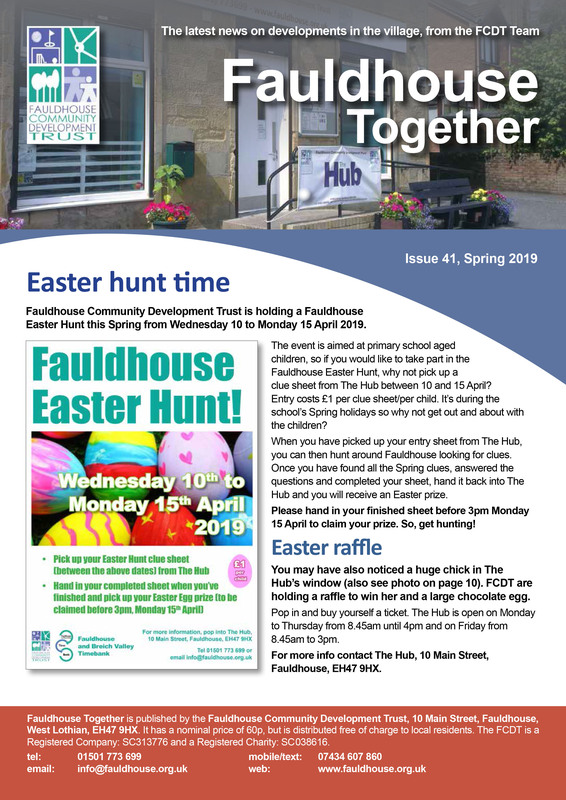 The FCDT team produce a quarterly newsletter ‘Fauldhouse Together’ which contains news on developments in the village. It is currently distributed free of charge to local residents and is delivered through all doors. You can also pick up copies from The Hub, 10 Main Street or download current and past issues below. You can download copies of our latest and some of our past newsletters here.